1V1, the Solo Battle Mode, is a mode where 2 players can have the quick and simple true test of one's power. there is only one path over the entire 1V1 Black City Arena. 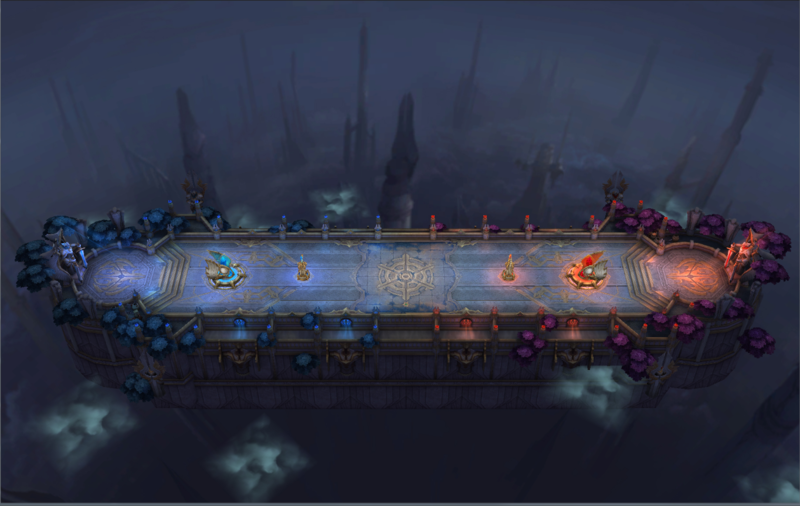 You and your opponents have a Tower and Crystals distributed symmetrically along the battle lane. it does not have bushes. Therefore heroes that are good at positive attacks will be at a significant advantage. such as Wukong, Lubu and Valhein. These heroes will make it easier for you to win on this mode. Healing Packs will respawn in the center of the map every 30 seconds. Whichever side to obtain these will immediately recover about one-third of their HP. Such a potent effect is worth fighting for! The 1v1 mode has been really popular with those who enjoy soloing and is a favorite of players with exceptional skills. while improving your laning abilities.